We have three large full functioning factories; two in North Dakota and one in South Carolina. Many of our employees have been with us for more than 40 years. Because of this, our craftsmanship is second to none. In fact, we take a great deal of pride in our work and craftsmanship and our employees dedicate themselves to Sunward and our exclusive quality standards. As a result, we believe that you are not just buying a steel building, you are buying a Sunward Steel Building with our promise of quality and dedicated support to meet your needs each and every step of the way. We hold several accreditation’s including IAS, which provides evidence that an organization operates at the highest level of ethical, legal, and technical standards. Our buildings meet the highest level of building manufacturing standards. Being in business for more that 40 years, we have manufactured and supplied over 50,000 steel buildings. We have supplied all building types from very simple buildings to custom designed buildings. Our extensive dealer network and our 3 factories have allowed us to ship building across the US and into Canada. 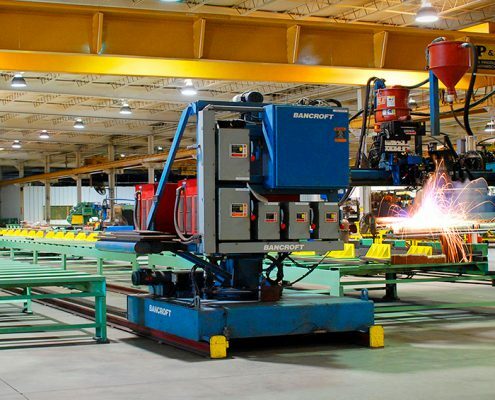 As a single source manufacturer with factories in North Dakota and South Carolina, we work with you from estimating to engineering and drafting to fabrication and delivery. Sunward Steel Buildings was incepted in 1972 when founder Danton Wirth became a dealer of steel buildings. 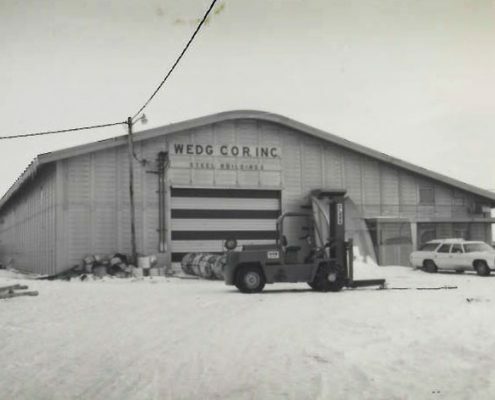 Just two years later in 1974, he purchased Wedgcor Buildings a small regional manufacturer of metal buildings, in Jamestown, North Dakota. The headquarters were moved to Denver, Colorado in 1976, leaving the manufacturing facility in North Dakota. Danton, together with his family, continued to grow the company extending the demand throughout the US. In the late 90’s they expanded their manufacturing operations to just outside of Charleston, South Carolina to keep up with this demand. The new manufacturing facility supplies the customers in the eastern states, providing excellence and quality services throughout the US. Danton worked diligently to build and establish a company that set itself apart by truly focusing on the customer and their needs. He wanted them to get exactly what they wanted and strived to deliver buildings that went above and beyond expectations. His compassion for the customer’s needs was greatly displayed through his hard work and dedication. He worked personally with engineers, plant managers, and in the factory to ensure that every detail was perfected. He was known for designing the buildings as if they were for himself and he exceeded his own expectations every time! Sunwards roots are in the agricultural industry, however, over the years, this has grown into supply of all building types. We specialize in commercial and industrial warehouses, manufacturing facilities, recreational buildings, metal shops and garages, custom aircraft hangars, barns, and riding arenas. We are a one source destination for your metal building. The entire process is handled in house, from estimating to planning and engineering, all the way through to manufacturing. This gives our customers the peace of mind that the building will be manufactured per the specifications provided to us. We cut out the middle man! Today Danton’s legacy is kept alive as we continue to provide high quality building systems. Many of the original factory workers and dealers, together with his family, continue to embark upon the legacy of Danton’s vision. Many of the buildings that were constructed 30 – 40 years ago can be found standing strong today in excellent condition. This is a true testament of the strength, quality, and longevity of Sunward buildings!